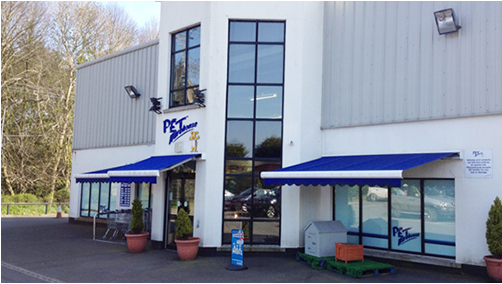 For an amazing variety of pet supplies and accessories, all under one roof, visit Pet Warehouse! We have a great range of quality products, all at amazing prices, and a team of friendly and helpful staff. And our location could not be more convenient – We are just off the A1, just outside of Hillsborough and near to Lisburn Golf Course, and not far from junction 8 of the M1, so come along and visit our store today. A warm welcome awaits you, and your special friend would thank you if they could speak! Here at Pet Warehouse, we are passionate about animals. We will help you choose the right product for your pet, and we have many delighted customers across Northern Ireland and the Republic of Ireland. And in the unlikely event that the item you are looking for is not in stock, we promise to order it in for you. Our location could not be more convenient – We are just off the A1, just outside of Hillsborough and near to Lisburn Golf Course, and not far from junction 8 of the M1, so come along and visit our store today. A warm welcome awaits you, and your special friend would thank you if they could speak! Here at the Prima Gusto restaurant, we have an extensive range of dishes for you to choose from, and our staff are ready and willing to make your visit a truly enjoyable one. With the addition of soft furnishings and having extended our informal menu range plus our chef's specials, we have something to suit everyone, from our great coffee and tea menus, our wine, beer, soft drinks and waters right the way to our cakes, locally sourced fish and meat dishes, vegetarian dishes including salads, and gluten free options. We will make sure that you have a great time every time you visit our restaurant, so come along and try out our new and extended menu today!